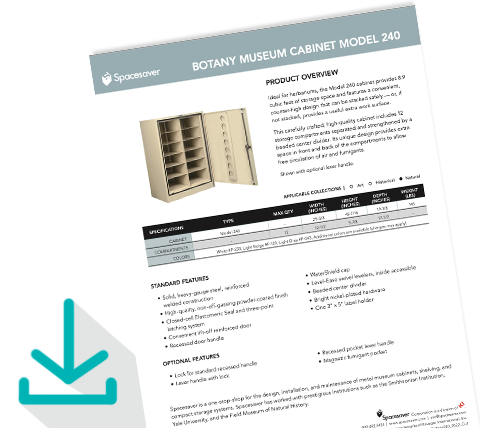 Perfect for herbariums, our line of botany cabinets preserve botanical specimens and help protect them from infestation. 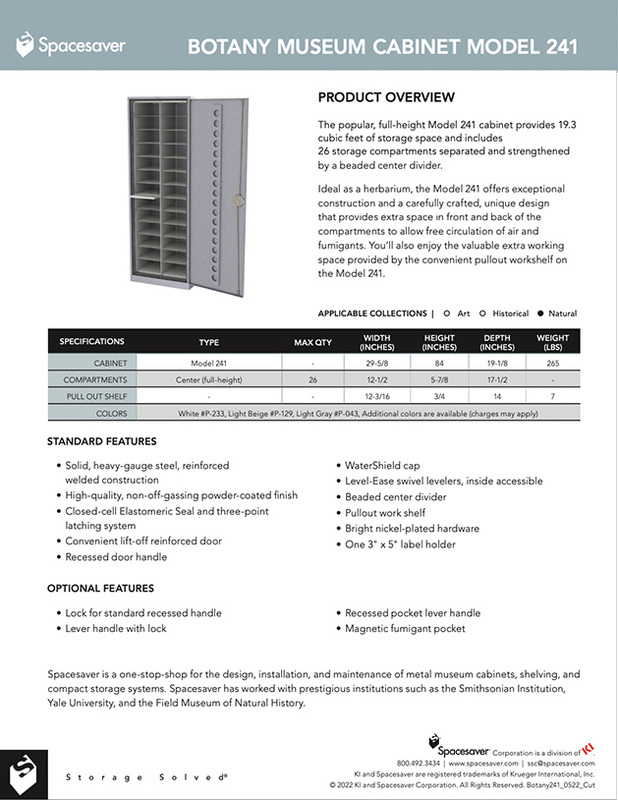 The full height models feature a reference shelf for convenient viewing of specimens, and all models are uniquely designed with extra space in the front and back of the compartments to allow free circulation of air and fumigants. 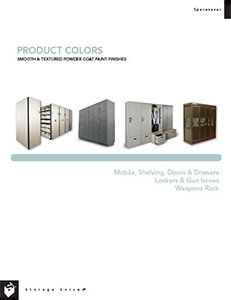 As with all our museum cabinets, closed-cell gasket seals and our three-point latching system help ensure protection from dust and other contaminants, and a non-off-gassing powder-coat paint finish provides durability and a clean appearance. 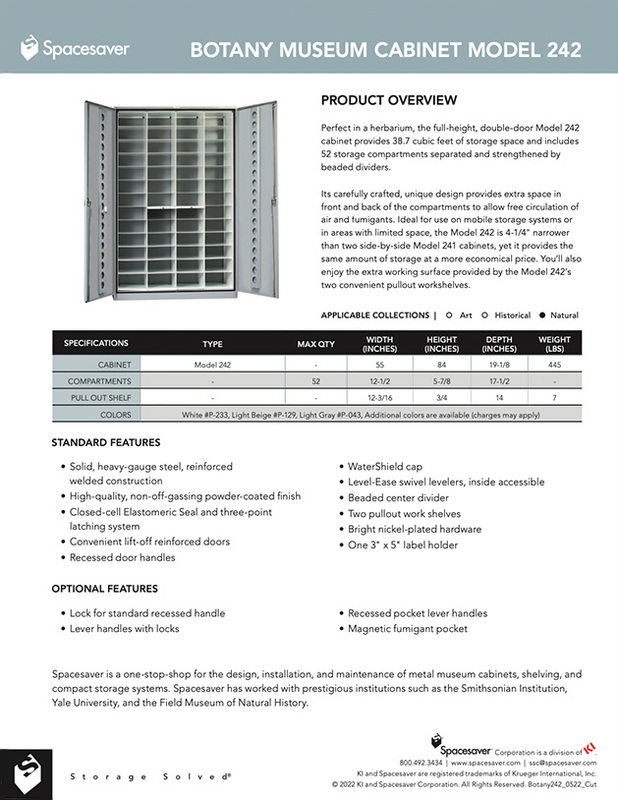 All our cabinets are manufactured in the USA of solid, heavy-gauge steel with reinforced welded construction. 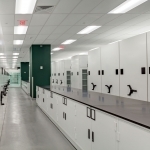 Sized to accommodate botanical specimens, our herbarium cabinets offer convenience and peace of mind. Download an Info Sheet to learn more. 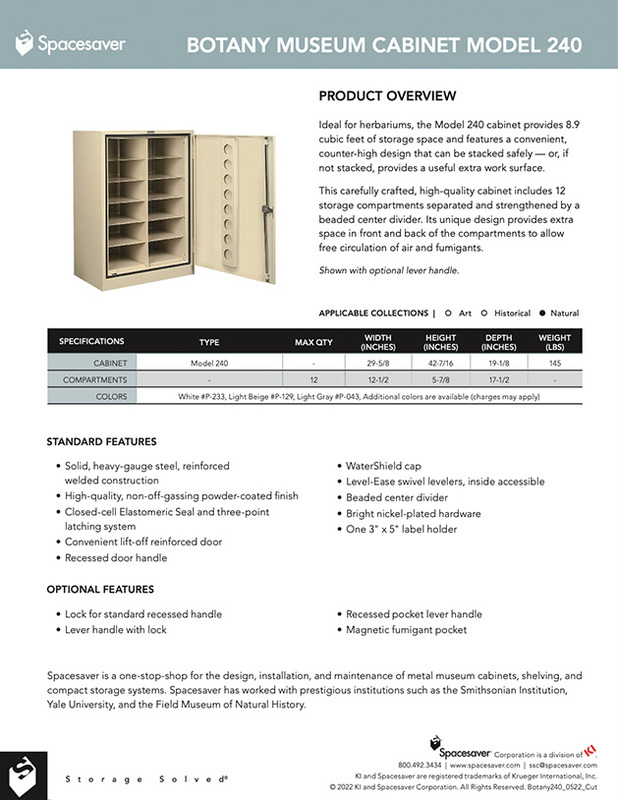 Counter-height botany cabinets provide a convenient work or display surface, or they can be stacked to maximize floor space. 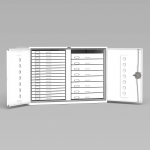 Full-size cabinets offer maximum capacity and a convenient pull-out shelf.